Heavy, fat-laden dishes begone! 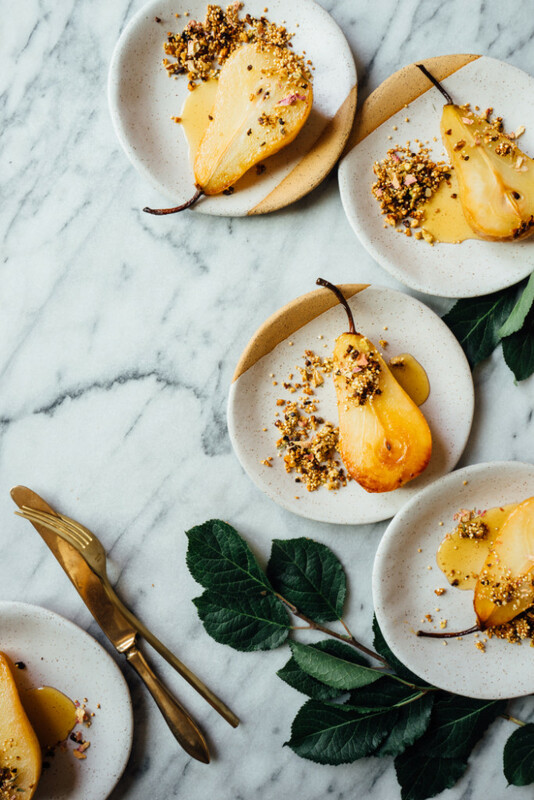 Whether you need a quick app or side to bring to a Thanksgiving gathering or are hosting the big event yourself, we’ve got you covered. 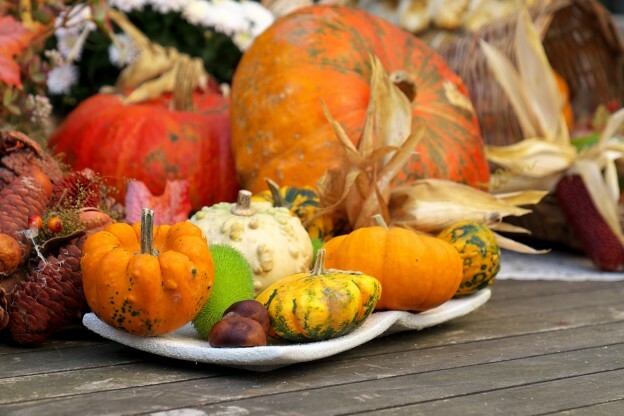 Try adding these healthy yet flavorful and satisfying dishes to your Thanksgiving spread. 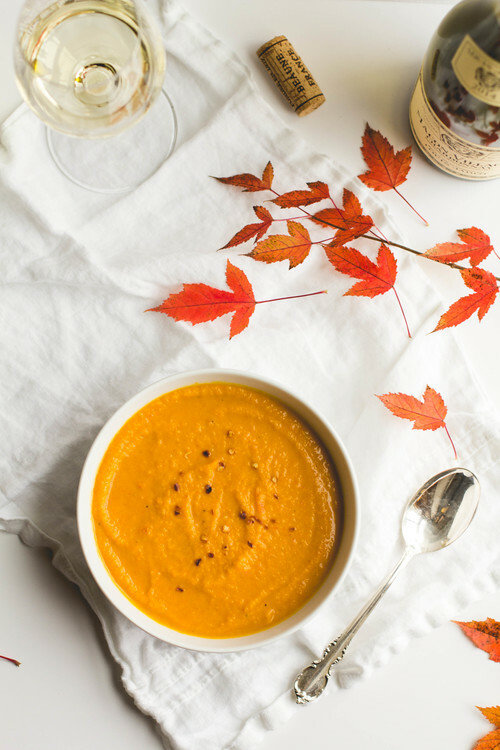 Packed with anti-inflammatory ingredients, this nourishing soup is the perfect start to your Thanksgiving meal! 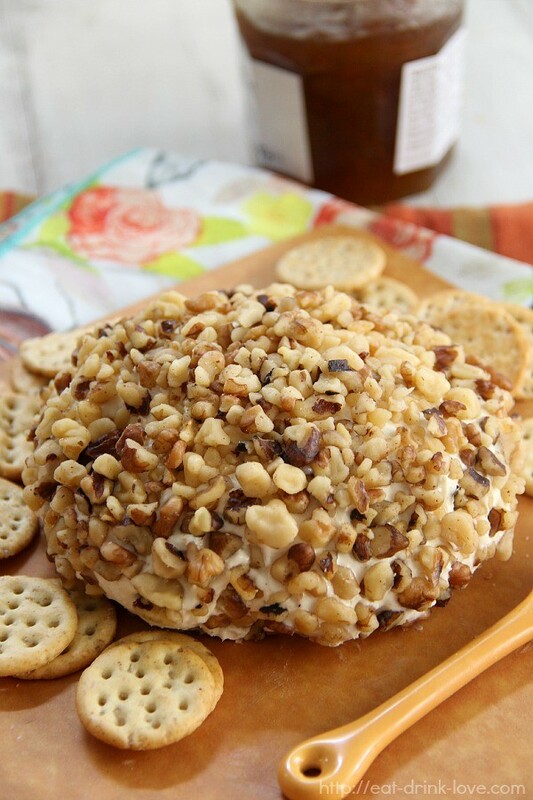 Fig preserves, goat cheese and walnuts combine to create an impressive appetizer that is the perfect mix of sweet and savory. 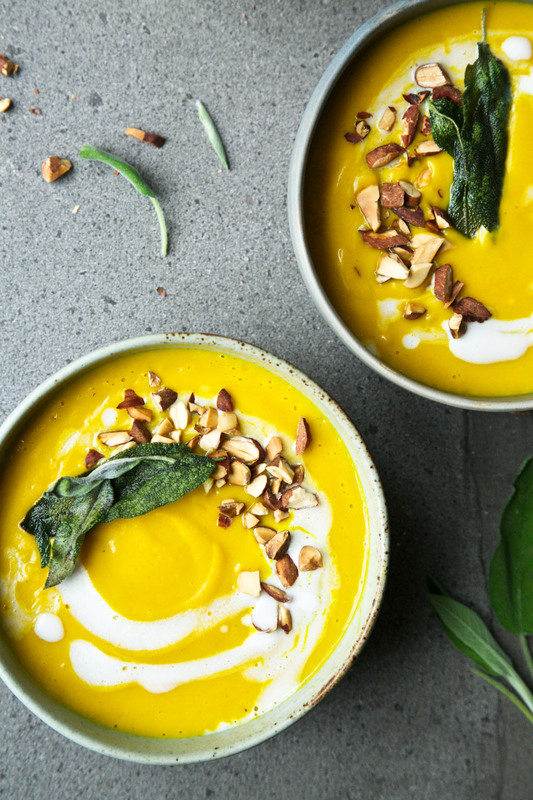 This smooth soup is full of warming spices to keep you feeling cozy, and is dairy-free, vegetarian, gluten-free and Whole 30 approved! 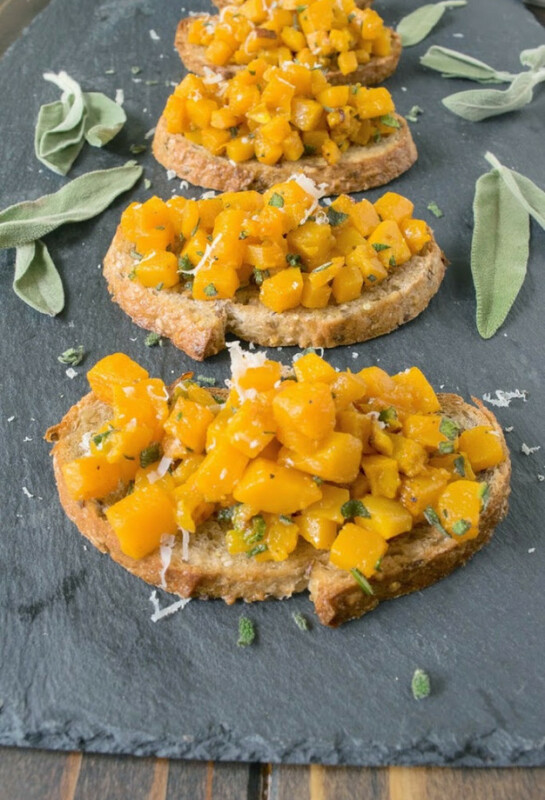 Put an Autumn touch on bruschetta by topping bread with a delicious mixture of butternut squash, sage and Parmesan cheese. 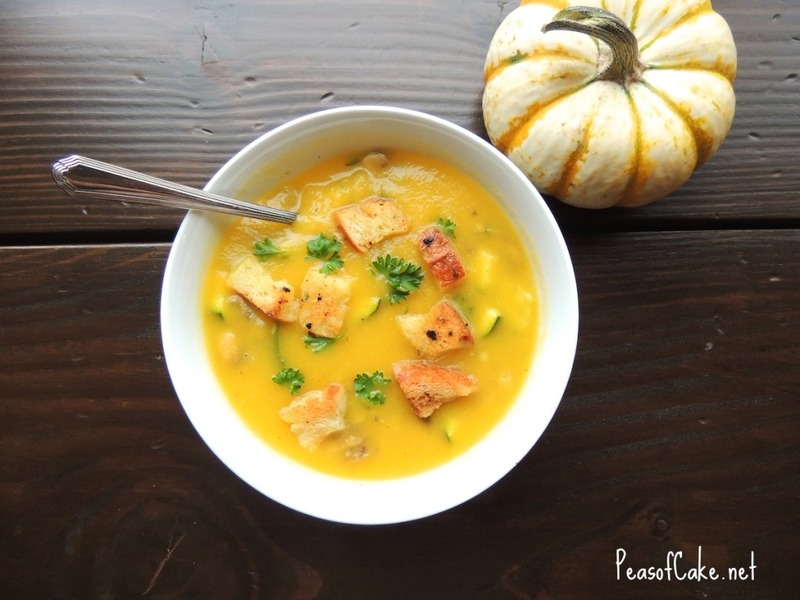 Top this butternut squash soup, which is full of veggies, with fresh, crunchy croutons. 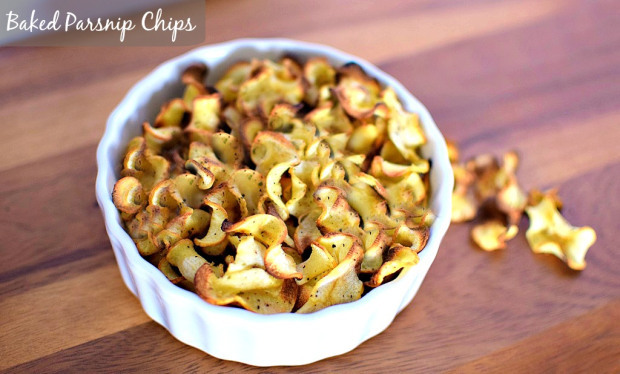 For a pre-dinner nibble, these easy baked parsnip chips are a healthier – and tastier!- alternative than traditional chips. 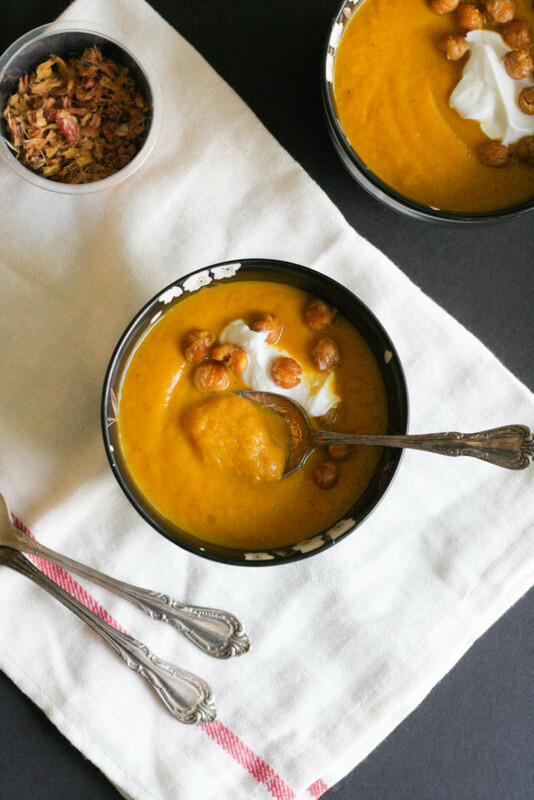 Warm carrot soup is topped with ginger roasted chickpeas and Greek yogurt for a beautiful starter. With lentils, flaxseed and beets, these festive crackers are a healthy option. Roasted delicata squash and cranberry studded quinoa make a delicious and nourishing side dish. 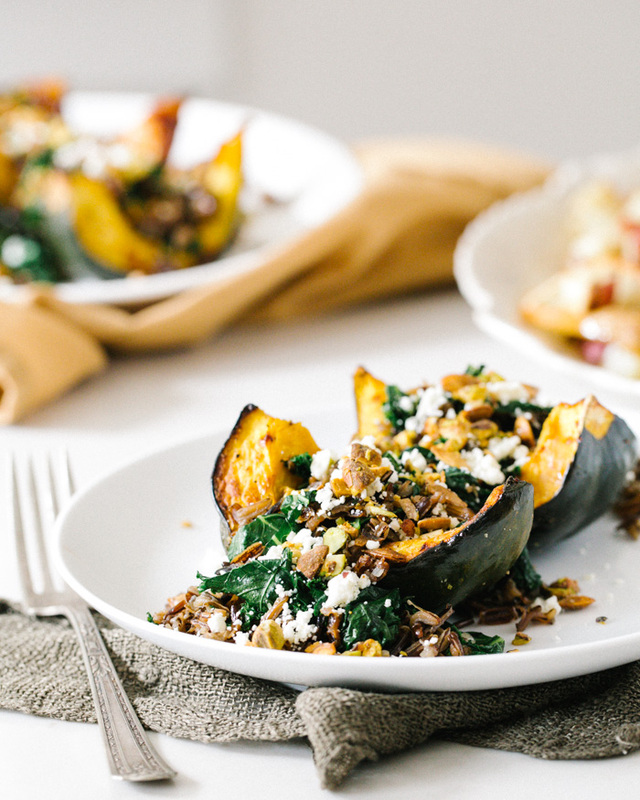 Sweet acorn squash is stuffed with a savory mixture of wild rice, pistachios, kale and feta cheese. 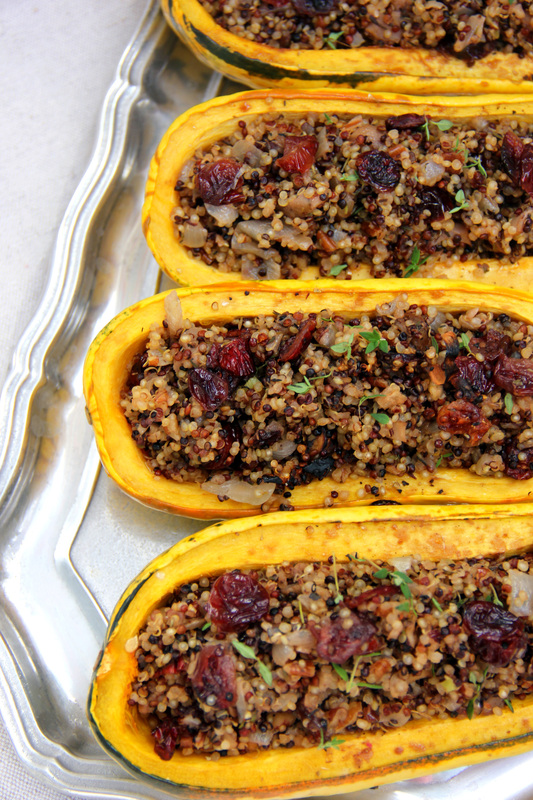 Quinoa with mushrooms, cranberries, pecans and spices served in delicata squash boats make a perfect vegetarian entree. 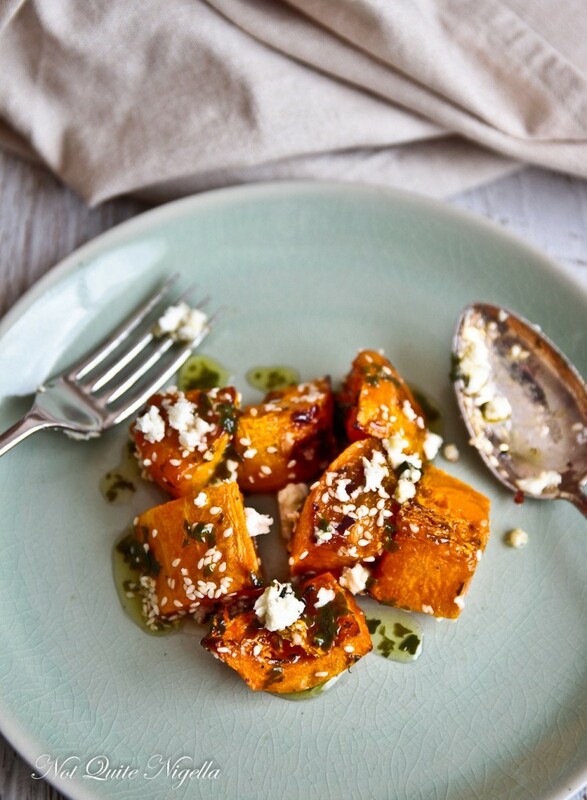 Delicious roasted pumpkin with feta and honey makes an impressive side dish. 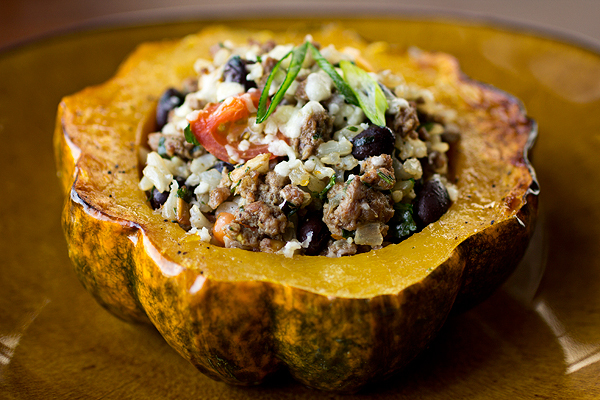 Stuff roasted acorn squash with rice, beans and plenty of veggies! 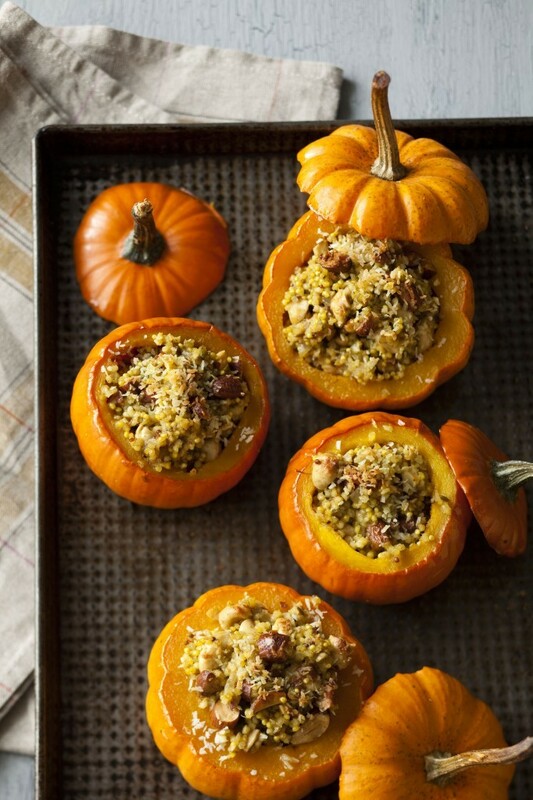 These single serving squashes are stuffed with a curry spiced mixture of nuts and coconut for a vegan option. 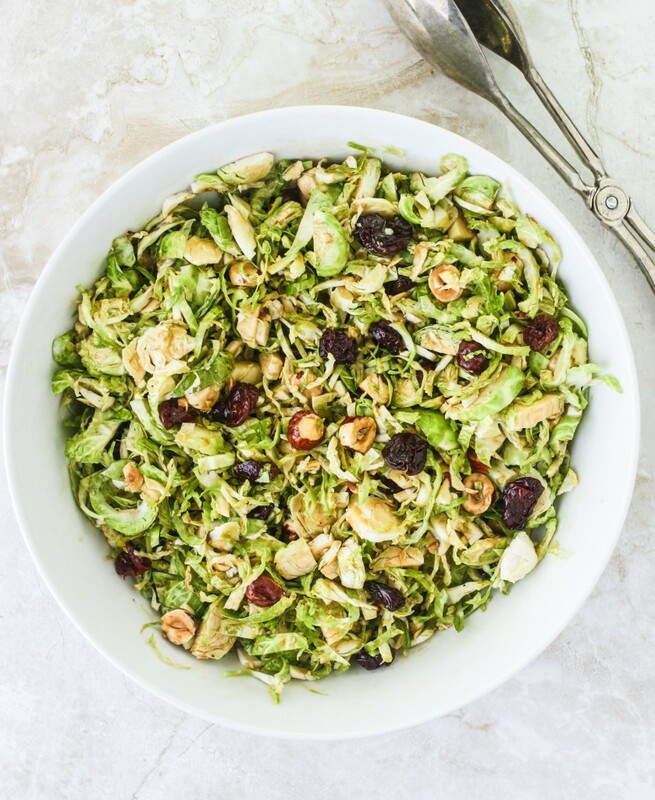 Brussel sprouts, toasted hazelnuts and dried cherries are tossed with a homemade maple and balsamic vinaigrette. 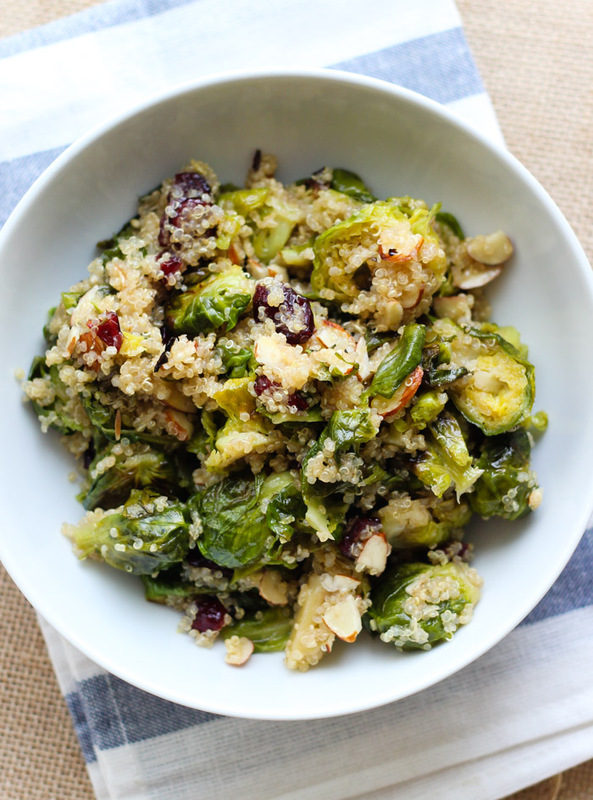 Brussel Sprouts, almonds, cranberries and quinoa are tossed with a maple dressing for a healthy salad option. 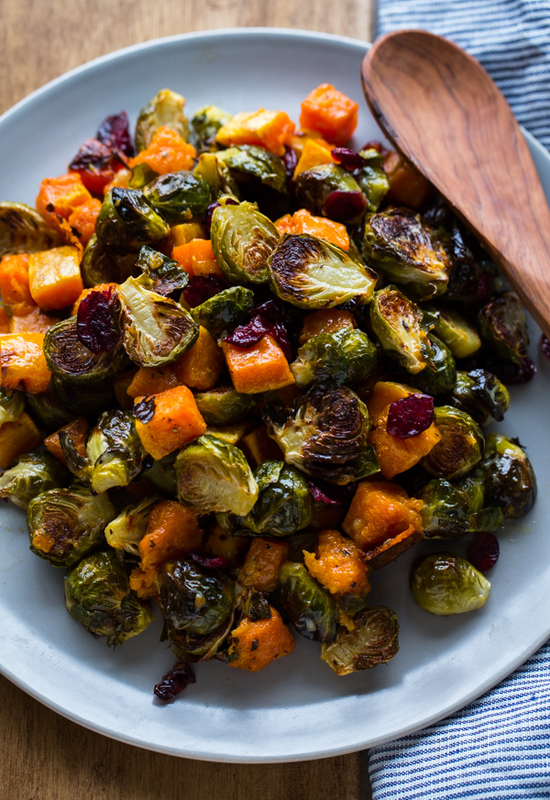 With brussel sprouts, squash and dried cranberries, this veggie-rich side screams Thanksgiving! 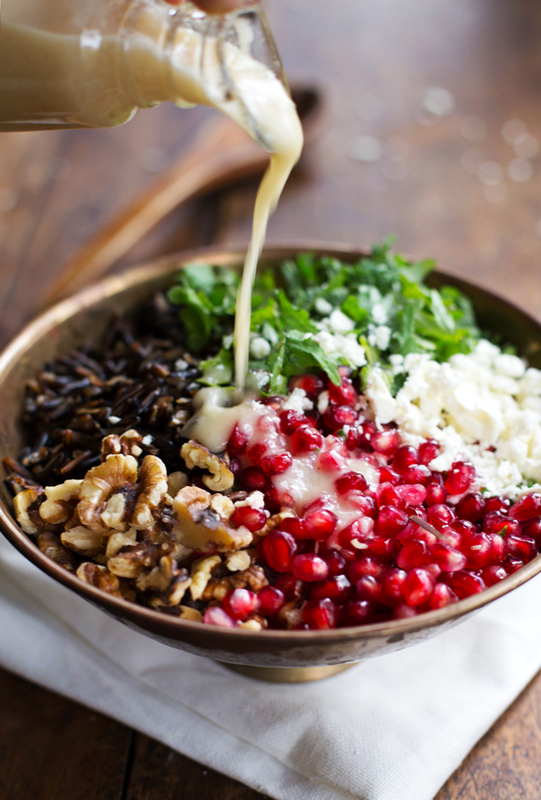 This easy yet impressive salad is a great way to get your greens this Thanksgiving. 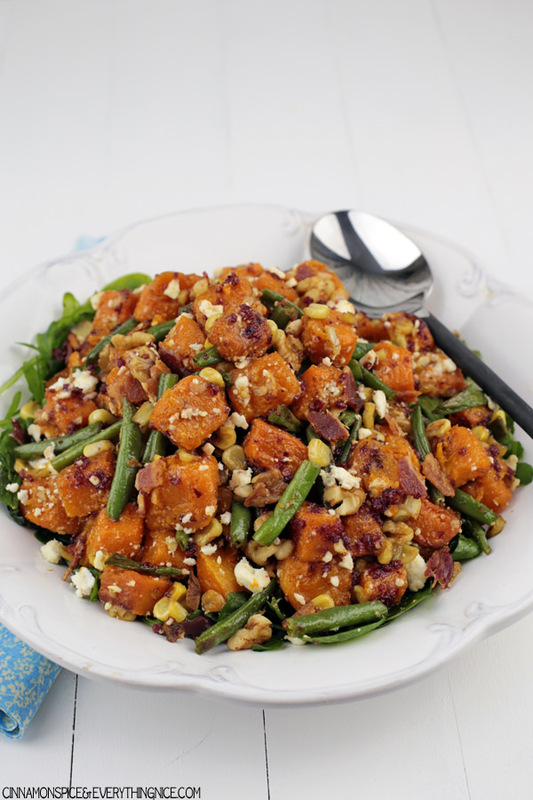 With squash, beans and corn, this salad will make an impact at your Thanksgiving table. 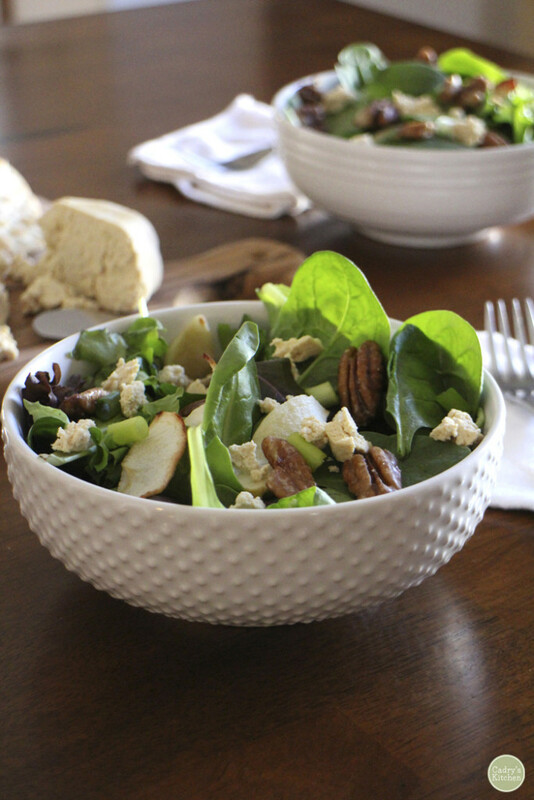 With roasted apples, candied pecans and a cider dressing, this salad is an instant holiday classic. 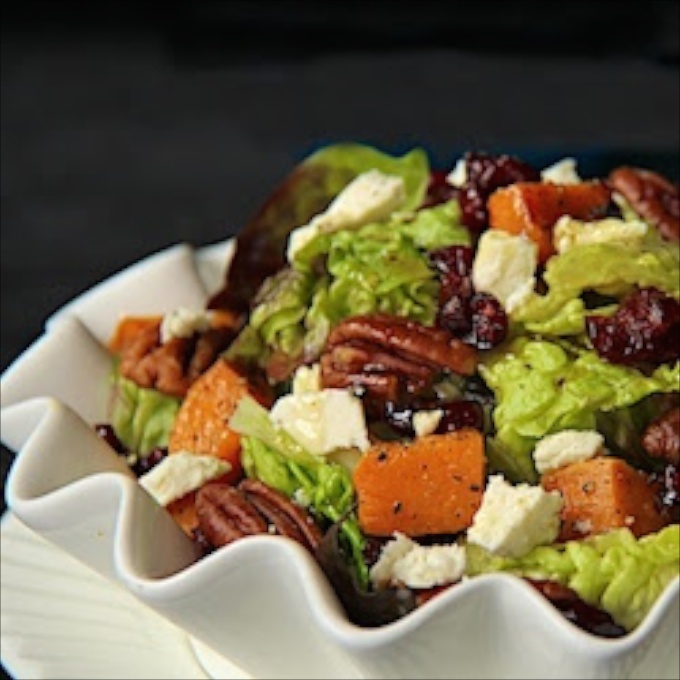 Roasted sweet potatoes, dried cranberries, feta, sea salt roasted pecans and fresh salad greens are all tossed up in a honey and cumin vinaigrette. 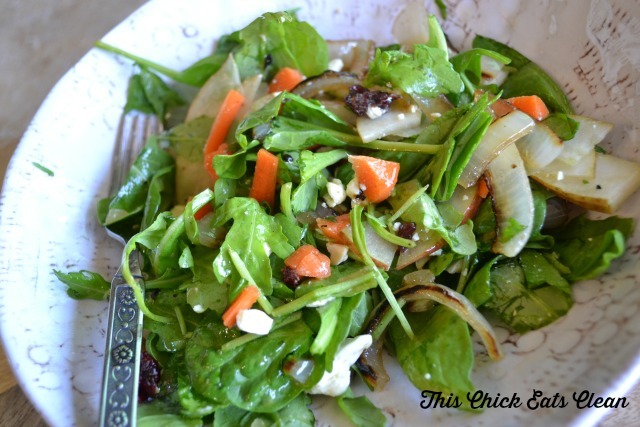 This gorgeous salad is quick to prepare, and packed with loads of tasty ingredients! 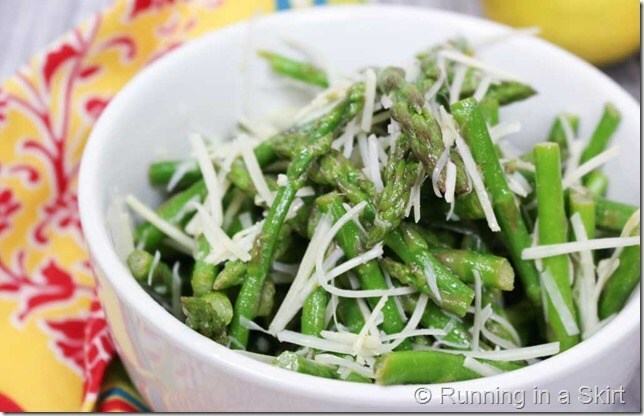 Take asparagus up a notch by tossing it in a homemade vinaigrette and topping with fresh Parmesan cheese – yum! 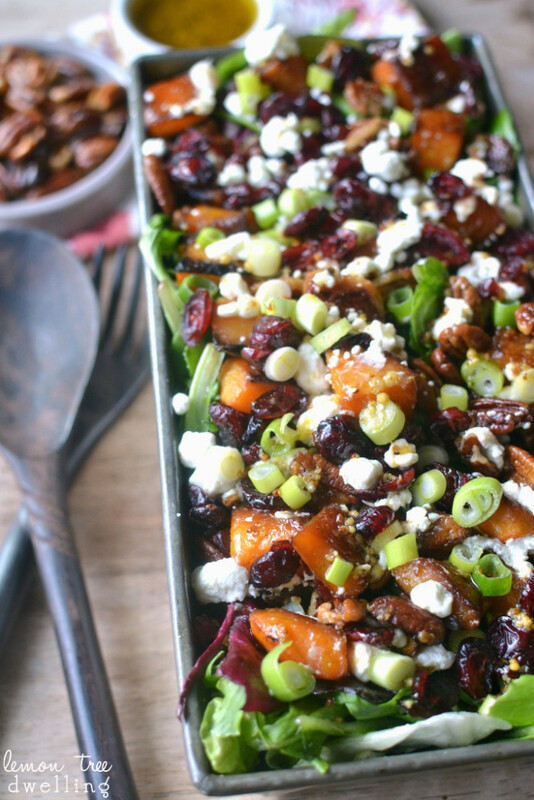 This salad gets a punch of sweetness from roasted butternut squash and cranberries, all topped with a delicious maple and mustard dressing. This salad takes its inspiration from French Onion Soup and has plenty of autumn ingredients like pear and cranberries, too! 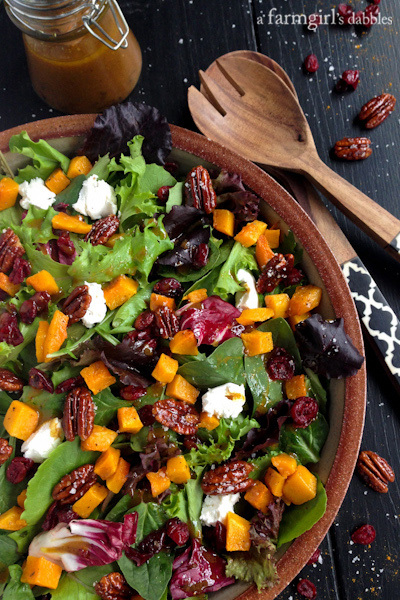 Inspired by the harvest, this beautiful salad features butternut squash, maple pecans and a curry fig vinaigrette. 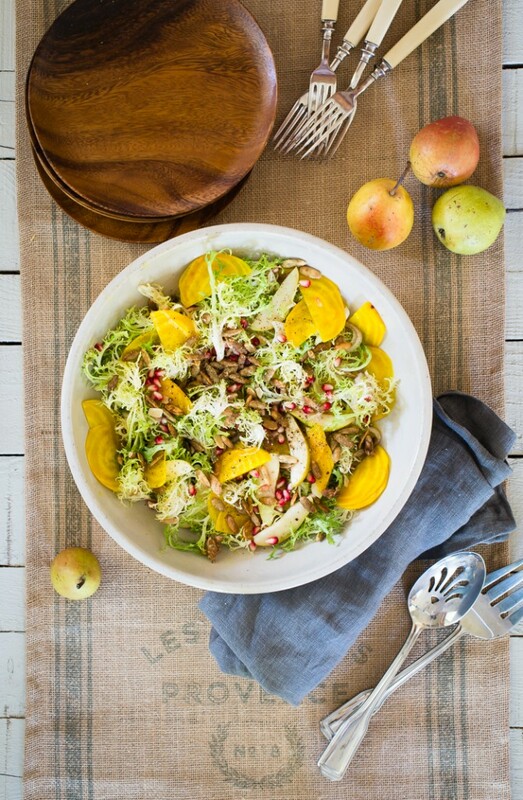 Frisee lettuce is tossed with beets, pears, pomegranate seeds and pepitas for a Fall salad. 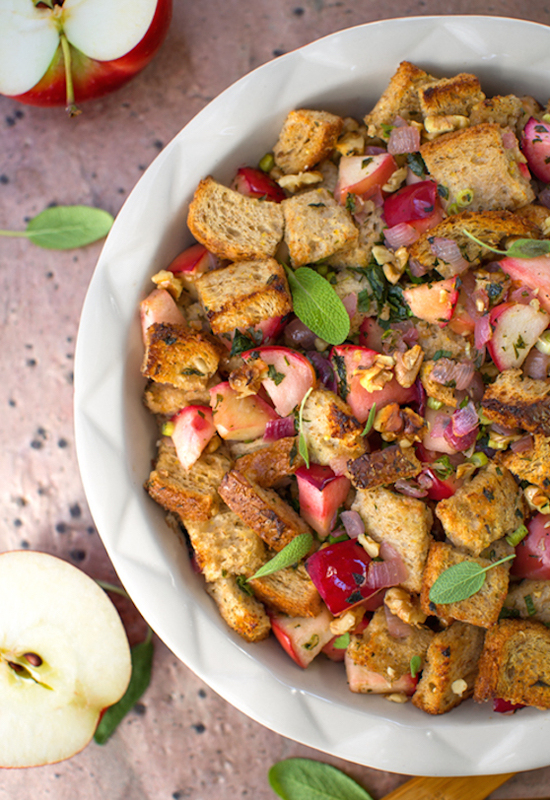 This whole grain stuffing contains sweet apples, crunchy walnuts and plenty of herbs. 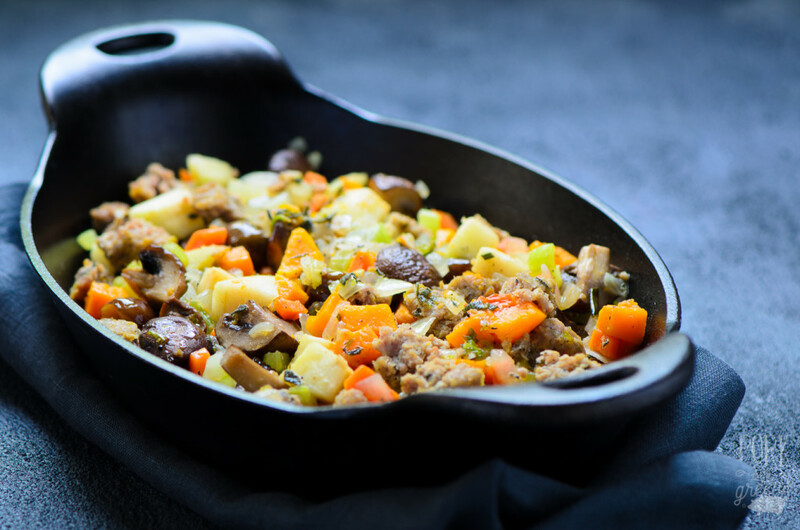 This paleo-friendly stuffing option is free of any grains and, instead, loaded with tasty yet satisfying ingredients like butternut squash, mushrooms, chestnuts, sausage and fresh herbs. 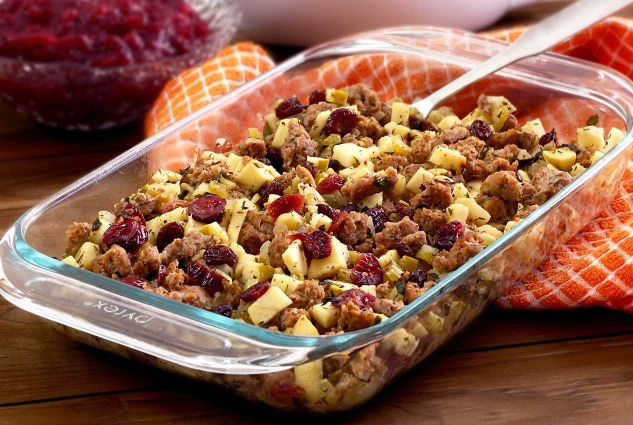 Free up some oven space by making this stuffing recipe in the crockpot! 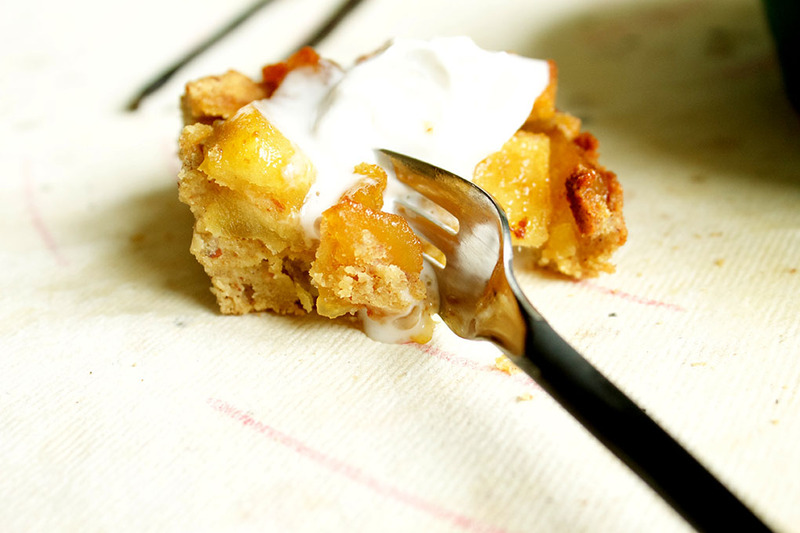 It’s got plenty of flavor from the addition of cranberries and apples. Wild Rice Pilaf with Butternut Squash, Cranberries, and Pecans // What Would Cathy Eat? 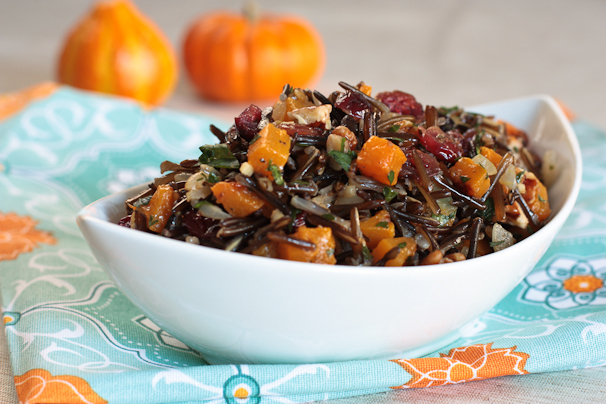 This wild rice pilaf is gluten-free and vegan, and makes a perfect stuffing alternative! 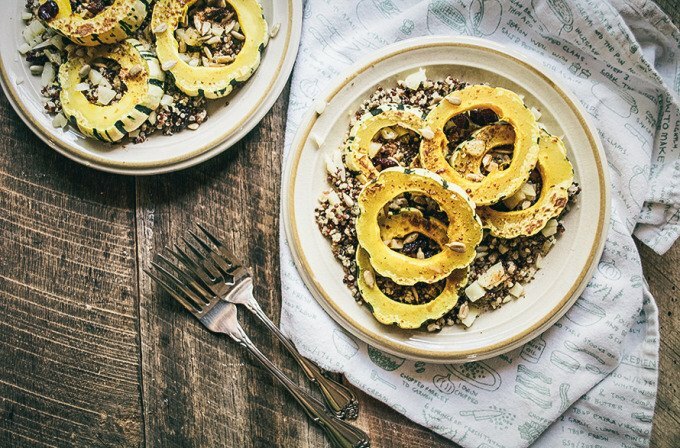 High in protein and fiber, freekeh makes a great addition to your Thanksgiving table! 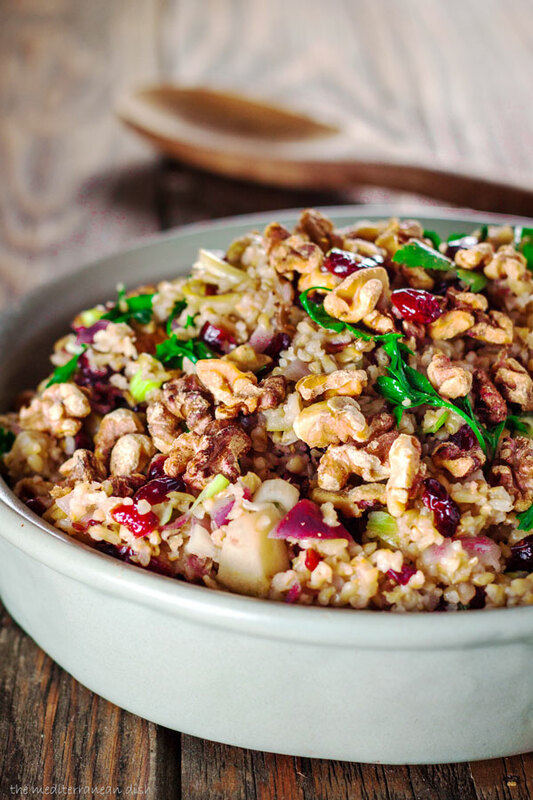 The cranberries, apples, walnuts and parsley take things up a notch. 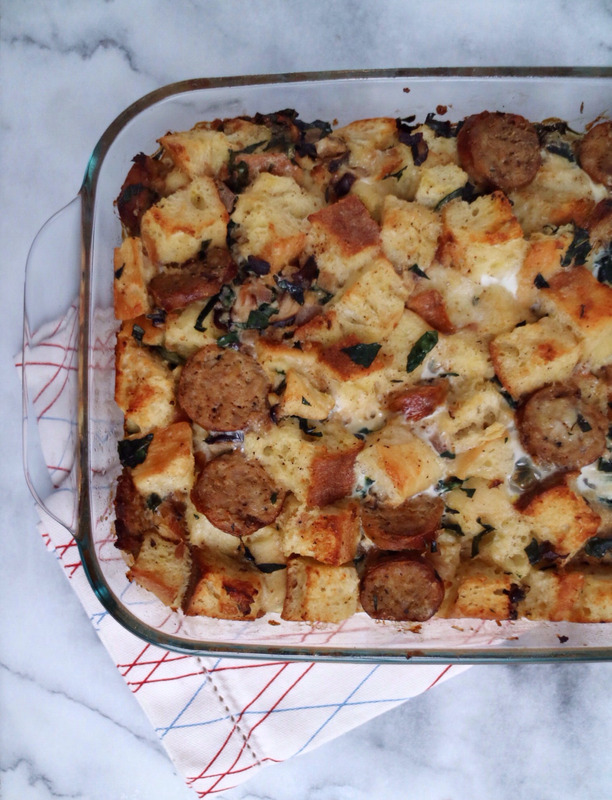 For a twist on stuffing, try this savory bread pudding with turkey sausage, kale, shiitake mushrooms and cheese. 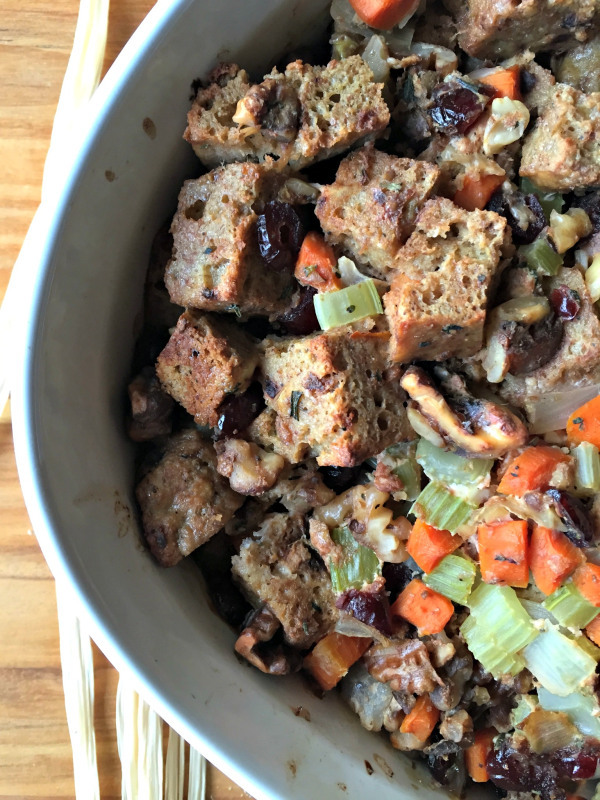 This stuffing is made with a gluten-free and paleo-approved bread mix for a more traditional stuffing that still works for a number of different diets. 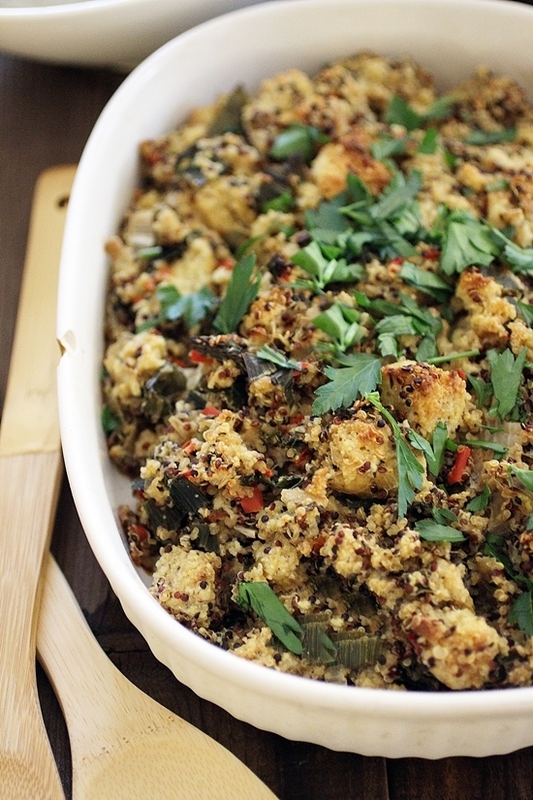 Cornbread and quinoa are tossed with plenty of herbs and spices for a flavorful and satisfying dressing option. 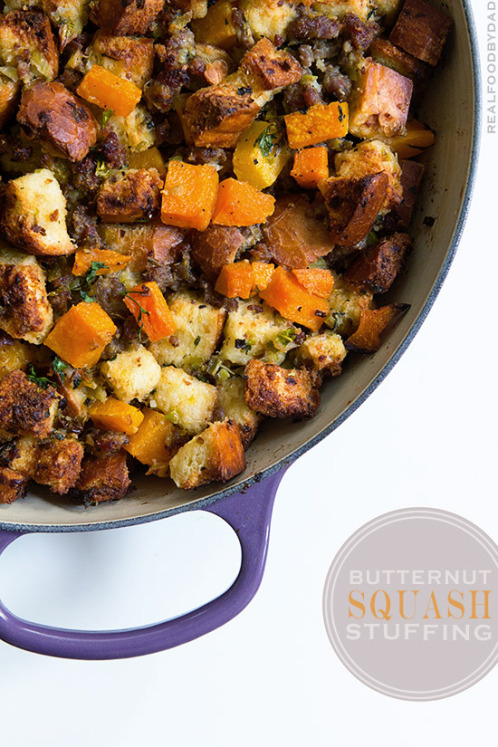 Sweet butternut squash, savory sausage and crusty bread create an unforgettable stuffing. 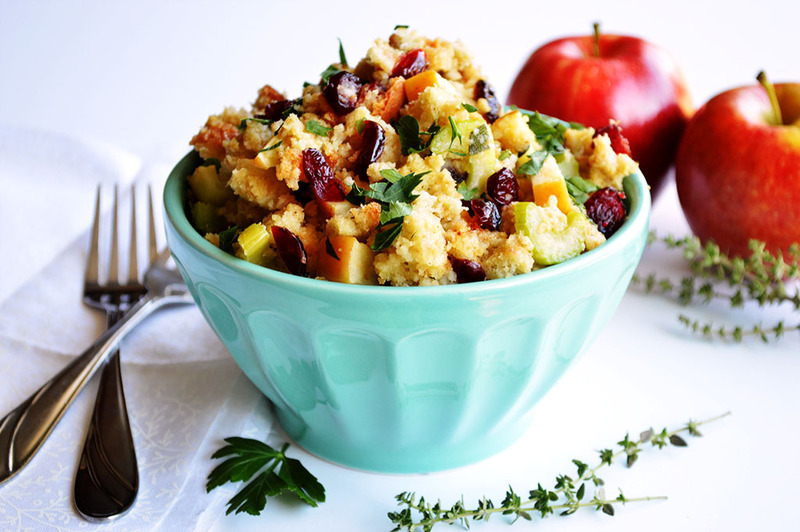 For a paleo-friendly option, try this stuffing recipe with sausage, apples, cranberries and white wine. 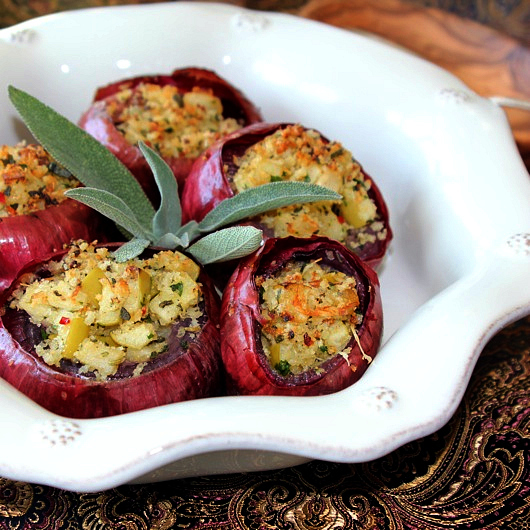 These onions stuffed with mushrooms, breadcrumbs and cheese make a beautiful looking – and tasty!- side dish. 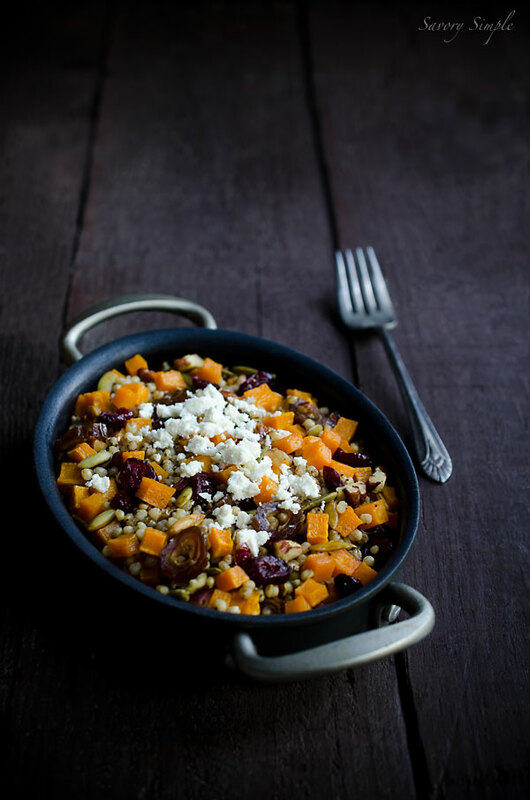 Whole grain sorghum is the base of this recipe which is the perfect mix of savory and sweet. 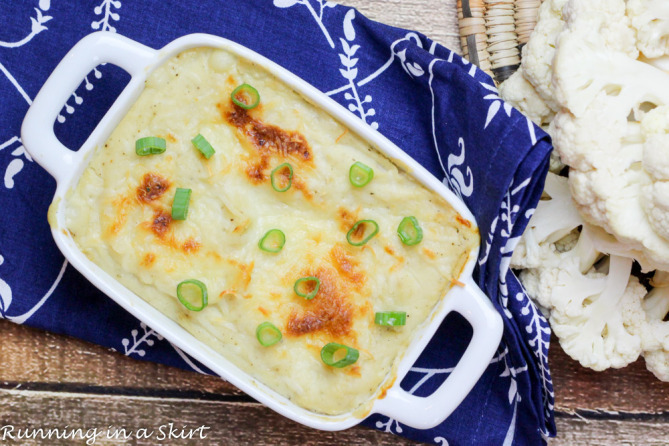 This mashed cauliflower flavored with Parmesan and garlic is a great low-carb swap for mashed potatoes, but is still super creamy! 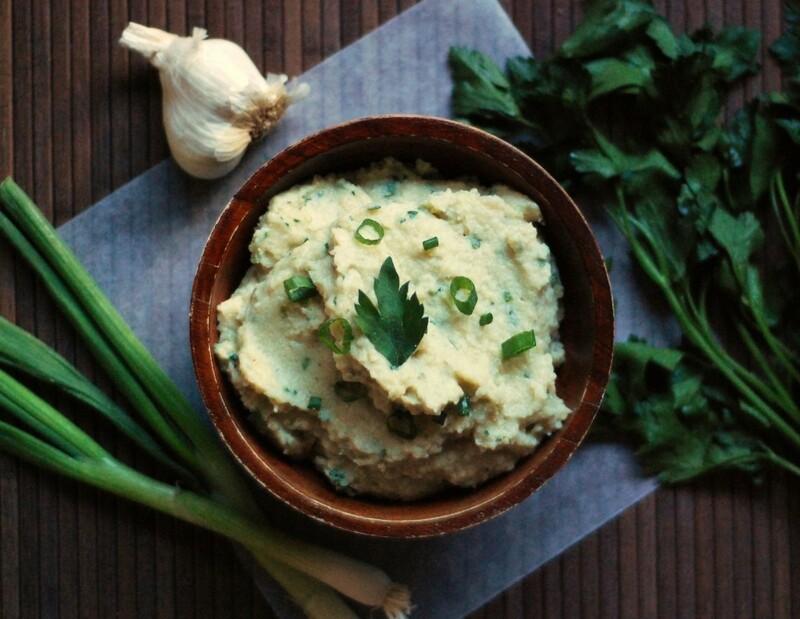 Millet and cauliflower combine with roasted garlic, parsley, green onion and Dijon mustard for a delicious side. 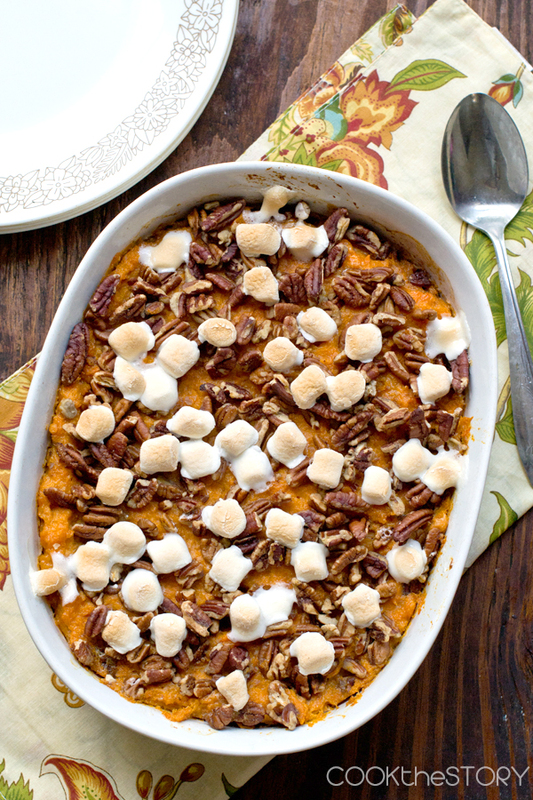 Make over your traditional sweet potato casserole with this lightened-up version, which uses vanilla Greek yogurt to cut the fat and sugar. 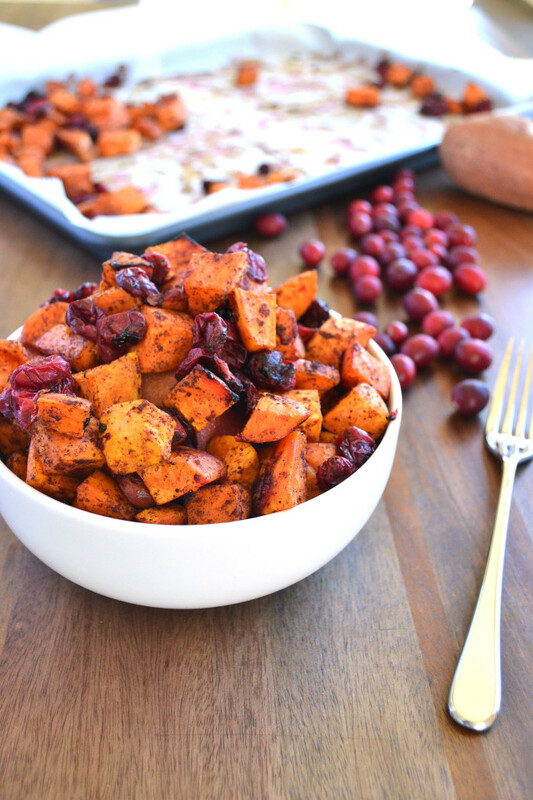 These roasted sweet potatoes with cranberries add a punch of both sweetness and spiciness to your Thanksgiving dinner. 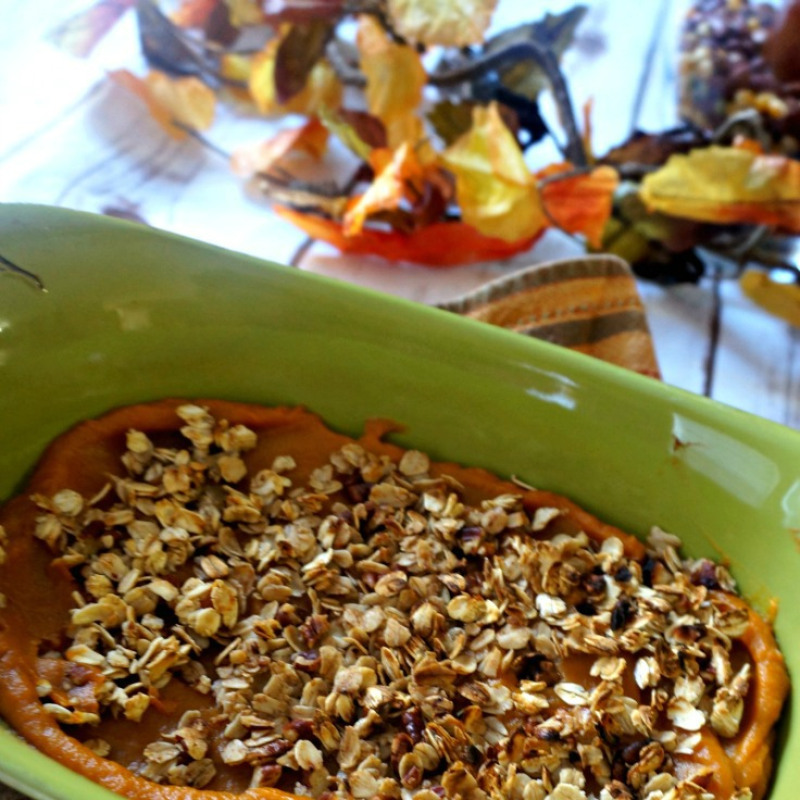 This delicious sweet potato casserole is naturally sweetened with maple syrup and apple juice concentrate, and is topped off with a crunchy oat and nut topping. 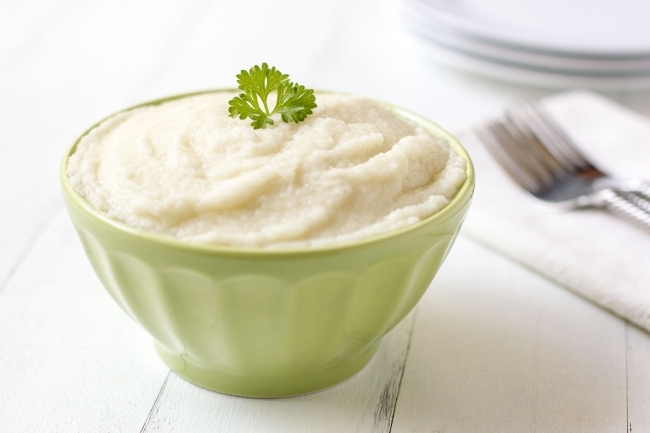 For a different twist on traditional mashed potatoes, try mashed turnips! 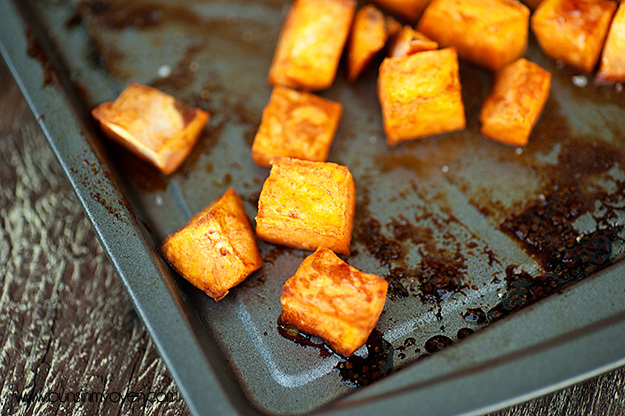 Honey and cinnamon add plenty of flavor to this easy potato side dish. 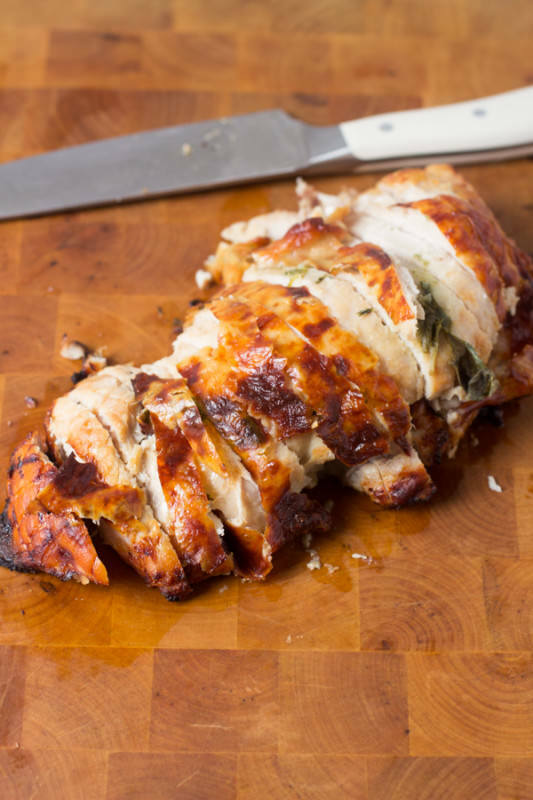 This easy roasted turkey breast gets its flavor from thyme and sage. 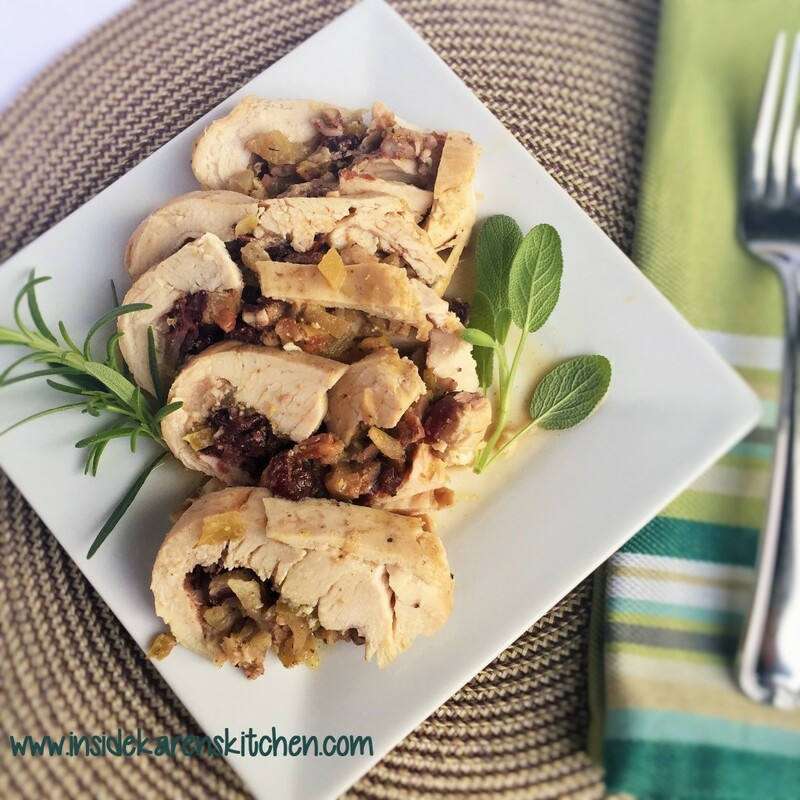 For a twist on the traditional turkey dinner, try these chicken breasts stuffed with cranberries and apples and topped with a cherry balsamic glaze. 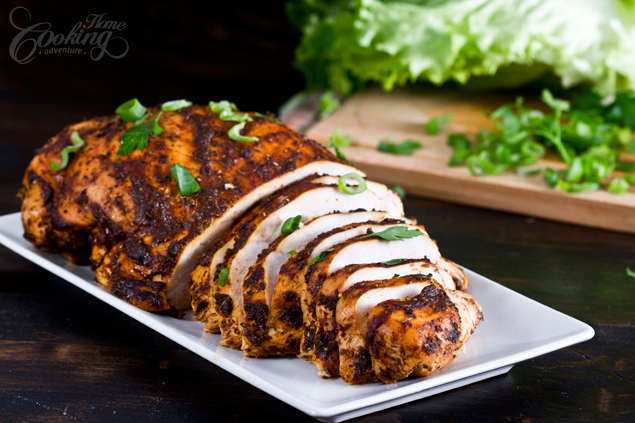 The marinade for this roasted turkey breast helps to keep this lean meat moist and tender. 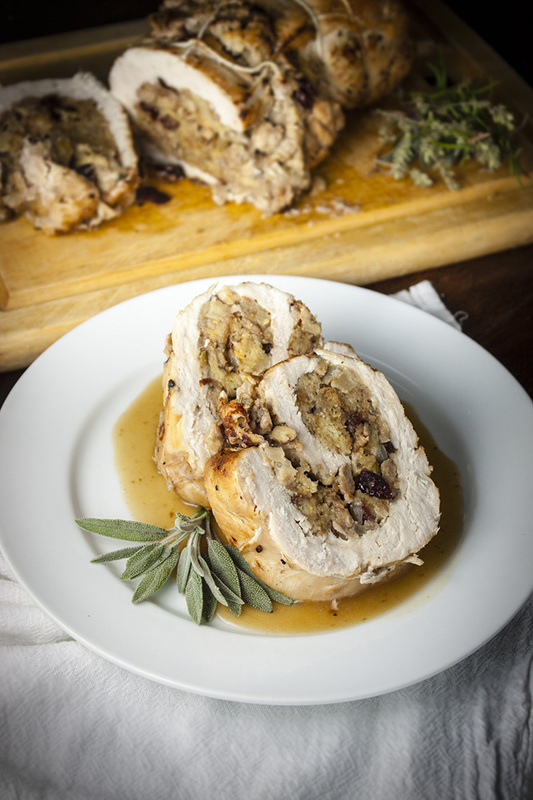 This impressive looking turkey roulade can be stuffed with your favourite stuffing, and requires much less time to cook than a whole turkey. This no-bake pumpkin swirl cheesecake can be made in advance and stored in the freezer or fridge. 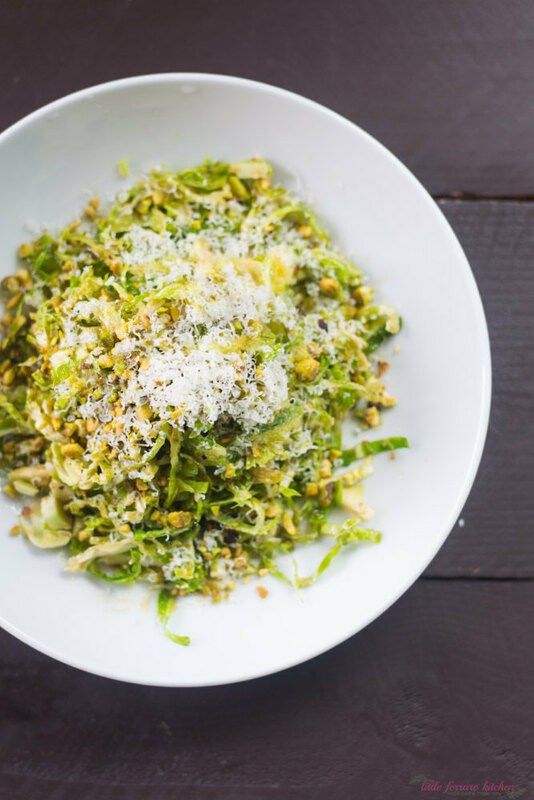 With a base of cashews, it’s also vegan-friendly. 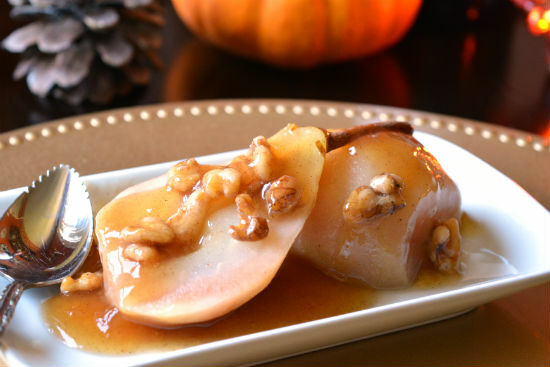 Poached pears make the perfect light and healthy Thanksgiving dessert. These can also be made ahead of time and reheated, making them an ideal option to save valuable kitchen time pre-dinner. 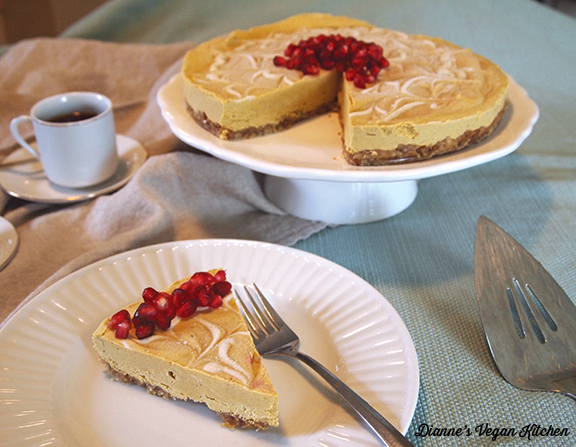 This gluten-free pie has no sugar added and is also vegan. 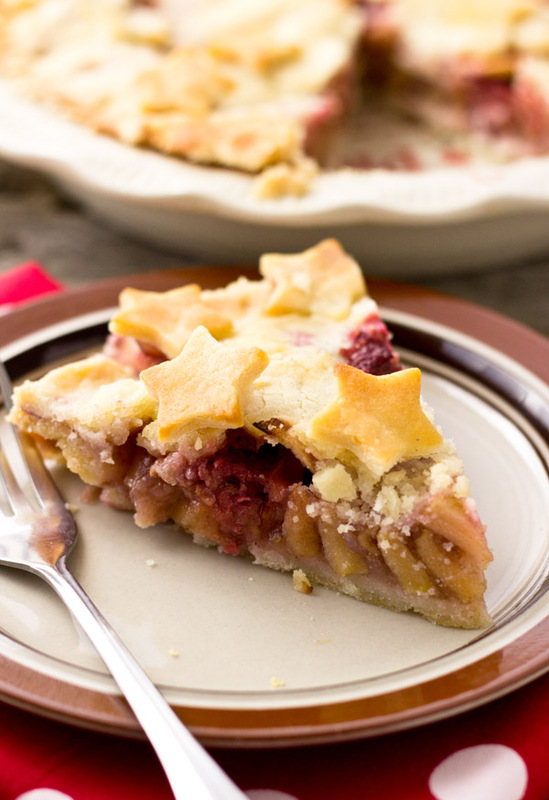 The apple, raspberry and ginger flavors make a delicious filling. This delicious layered pie is made with almond meal and coconut flour to make it a paleo-friendly option. 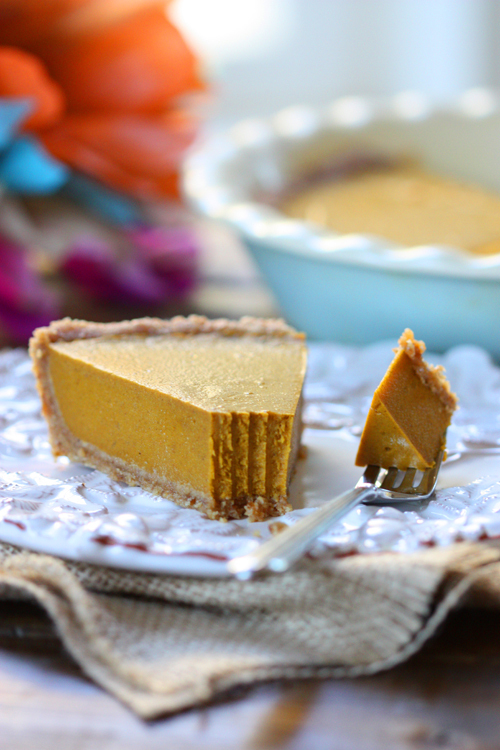 Vegan-ize the traditional pumpkin pie with this version, made with coconut milk and sweetened naturally with stevia and coconut sugar. 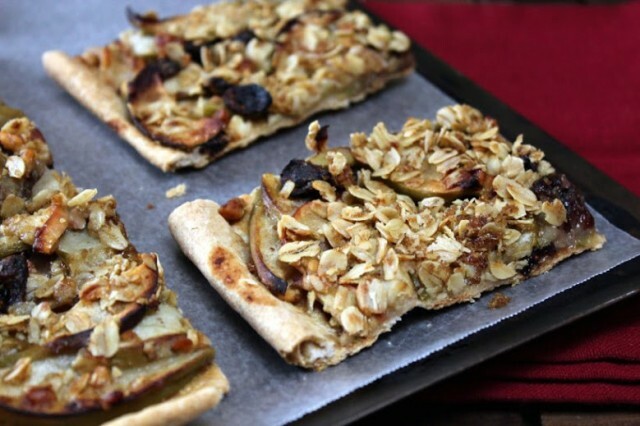 This beautiful, rustic take on a traditional pie gets plenty of fiber from the rolled oats and whole wheat flour. Honey roasted pears are topped with a crunchy topping made of quinoa, hazelnuts, cocoa nibs and cinnamon for a gorgeous end to your meal. 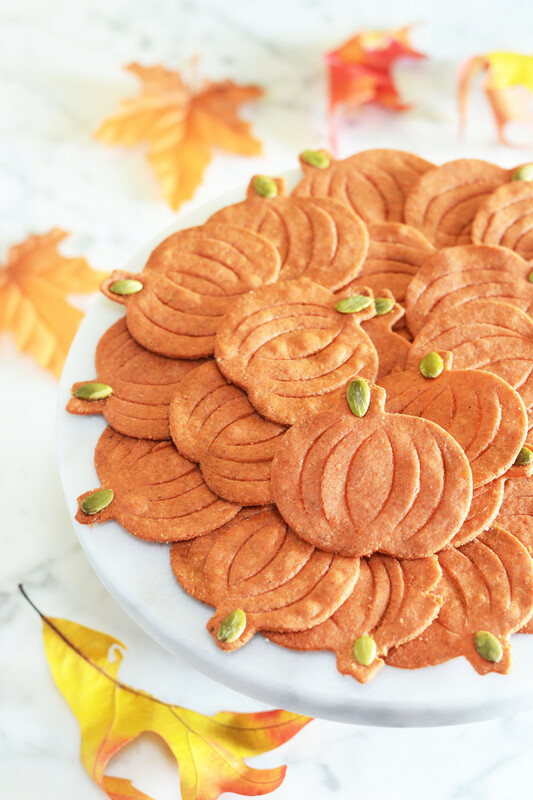 This entry was posted in Recipes and tagged gluten-free thanksgiving, healthy recipes, healthy thanksgiving, paleo thanksgiving, recipes, vegan thanksgiving, vegetarian thanksgiving on November 24, 2015 by Janelle Martel.